Curtis Acosta Ph.D., Sean Arce M.A. ABD, Anita Fernandez Ph.D., Norma Gonzalez M.A, Jose Gonzales M.A. XITO strives to support the Xican@/Latin@ community through teacher preparation, social justice pedagogy and community organizing. XITO's practices are steeped in Xican@ indigenous epistemology which drives the intentions, structures, and practices of the institute. XITO consultants provide teacher training in research-based best practices in culturally, socially, and historically responsive/sustainable/empowering pedagogical approaches that are highly effective with traditionally marginalized and underserved student populations, specifically with and for Xican@/Latin@ youth. This training is for teachers at the K-12 and university levels in the areas of English/language arts and History/social science. Thank you for reaching out! Vincent will contact you soon. Xicanx Institute for Teaching and Organizing (XITO) at Cispus Learning Center February 24-26, 2017. Watch our video from XITO WA 2016 at Cispus Learning Center. Ethnic Studies Now summit at Mission High School, January 9th, 2015 in San Francisco before the Ninth Circuit Court date. Xican@ Institute for Teaching & Organizing (XITO) a collective of educators shed light on the banned MAS ethnic studies program in Tucson, Arizona. 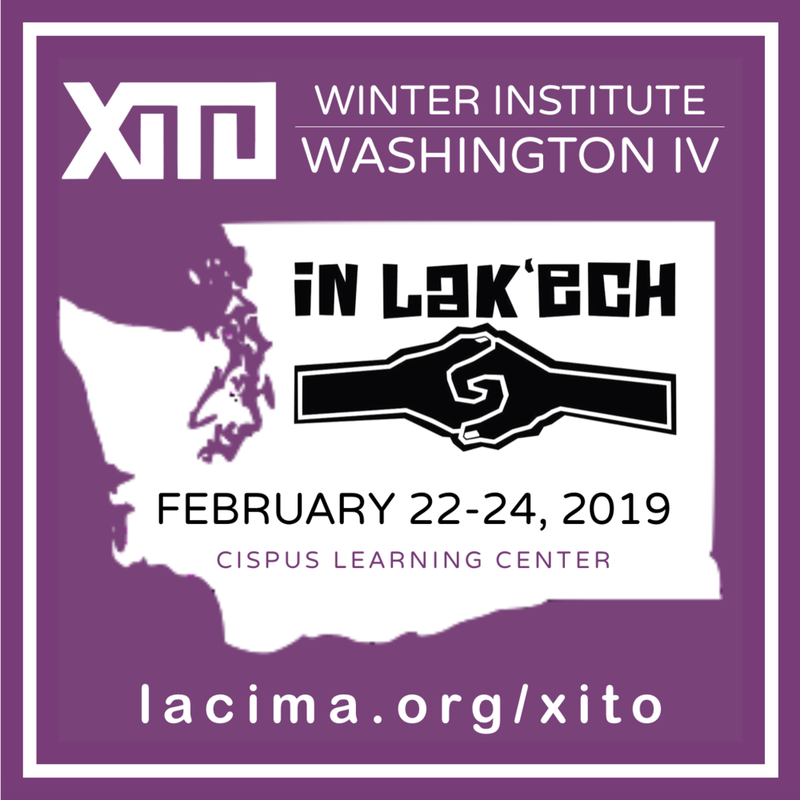 XITO: a three-day institute for teachers, principals and organizers at Cispus Learning Center from February 22-24, 2019. The Xicanx Institute for Teaching and Organizing, or XITO, will share their best practices in meeting the needs of students of color through a culturally responsive approach. This 3-day institute is an opportunity for educators, activists and community organizers throughout the great northwest to engage in and learn about the theories and methodologies behind the successes of the former Tucson Mexican American Studies Program. This gathering is not a conference but rather an intensive professional development opportunity that participants can bring back to their own communities. XITO facilitators will share the liberatory, research-based pedagogy and community organizing skills that led to the success of K-12 youth of color and communities of color in general. Professional Practitioners: Teachers, principals, professors, community organizers, activity coordinators, program managers, school counselors, social workers, directors of curriculum, etc. $600: Includes 3-day institute content and materials, clock-hours, lodging and meals. Travel to Cispus will be the responsibility of each individual participant. Portland International (PDX) and SeaTac International (SEA) are both approximately a 2.5-hour drive to Cispus. Lodging at Cispus Learning Center is in a dorm style setting. See photos here. Participants are required to bring their own bedding, toiletries and towels. Cell phone reception does not reach Cispus, however, connectivity via wifi will be available. Nestled between Mt. Rainier, Mt. St. Helens and Mt. Adams, Cispus Learning Center is a 68-acre campus located 10 miles southeast of Randle, Washington in the Gifford Pinchot National Forest. Cispus Learning Center is sponsored by the Association of Washington School Principals. Directions to Cispus: For those who prefer the classic map and compass over computers and smart phones, you can find us at the following coordinates: 46°26'23.73''N, 121°50'55.13''W with a declination of 15.76° E, changing by .13° W per year. Precious Knowledge is a 2011 political documentary centered on the banning of the Mexican American Studies Program in the Tucson Unified School District of Arizona. It was directed by Ari Palos and produced by Eren Isabel McGinnis; both are founders of Dos Vatos Productions. The film follows the lives of four students and several teachers in the Mexican American Studies program at Tucson High School. It follows the progression of local legislation put into place by the Arizona Department of Education Superintendent of Public Instruction, Tom Horne, in order to ban the Mexican American Studies program. The film was awarded the Premio Mesquite for Best Documentary at the Cine Festival at the Guadalupe Cultural Art Center in San Antonio, Texas. A video clip from TNT's mini-series "Into the West" showing what young Native American children went through in the name of assimilation. RAW footage video clip of youth group U.N.I.D.O.S. who took over the TUSD board mtg. Tuseday night and stopped a vote that would've demoted Mexican American Studeis to an elective class. Students said YA BASTA! Belissa Escobedo, Rhiannon McGavin, and Zariya Allen, members of the Get Lit organization perform "Somewhere in America". SUBSCRIBE: http://bit.ly/QLsubscribe About Queen Latifah: Queen Latifah is a musician, award-winning actress, record label president, author, entrepreneur and Cover Girl. Ramon "Chunky" Sanchez was raised in a small farming community in southern California in the 1950s. As was common practice at that time, teachers at his local elementary school Anglicized the Mexican American students' names. Here, Chunky remembers a new classmate who proved to be the exception to the rule. In the spring of 2013 Prescott College premiered the first Tucson Social Justice Education Semester, taught by Anita Fernandez and Sean Arce. This film was a part of their final presentation to their community detailing their time spent in Tucson, history, and pedagogies learned.